All hail Ceasar! Rule all of your subjects, with a gentle hand anyway, in this Roman inspired Halloween costume, from Dreamgirl. This four piece costume set features a regal long tunic and draped red satin toga with gold leaf printed design and trim. Also includes wrist gauntlets and gold leaf headpiece. To properly care fo your Caesar Emperor Men's Costume, the designer highly recommends that you hand wash separately from other garments. This item is proudly designed and manufactured by Dreamgirl. 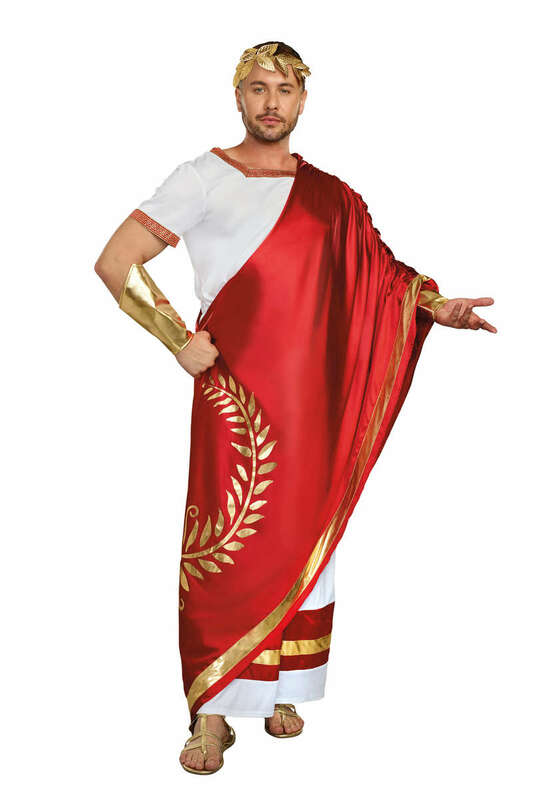 There are no reviews yet for Caesar Emperor Men's Costume. You can be the first to write one!